– Rick Mofina, two-time winner of the Arthur Ellis Award. Doyle is plunged into a story of deception, betrayal, and a drug lord’s insane plan to deliver an apocalyptic message to the White House. To stay alive, Doyle must confront his past and untangle his future. 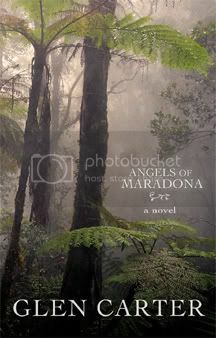 And before it’s too late, he must uncover the unbelievable truth about Kaitlin O’Rourke and the Angels of Maradona. Breakwater Books is thrilled to unveil its new blog today, and to keep our readers informed on all the exciting news about our great titles and fine authors. Check back regularly or subscribe to be kept up to date on all of Breakwater’s exciting news!